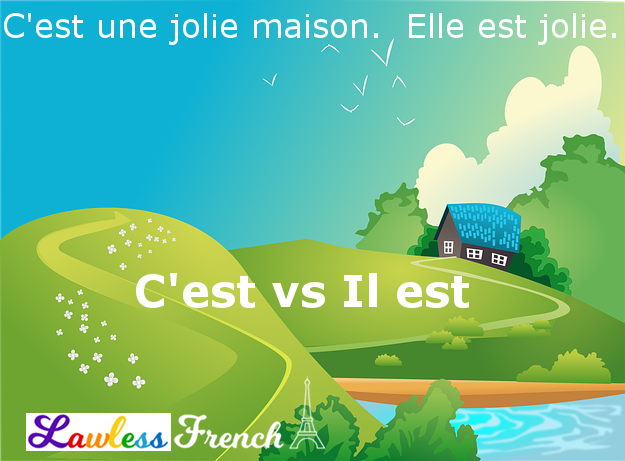 The French expressions c’est and il est can be tricky because they are synonymous but not interchangeable. * Which one to use depends less on meaning than it does on grammar. J’aime ce tableau. Il est joli. I like this picture, it’s pretty. C’est un joli tableau. It’s a pretty picture. C’est is neuter singular; its plural form is ce sont. However, c’est is used informally for both. Il est is masculine singular; its other forms are elle est (feminine singular), ils sont (masculine plural), and elles sont (feminine plural). When describing a person, the choice of c’est vs il est depends on whether it’s followed by a noun or an adjective. C’est mon mari. That’s my husband. Ce sont des amis intimes. They’re close friends. Il est sympa. He’s nice. Elle est intelligente. She’s smart. Il est boulanger. He’s a baker. Elle est étudiante. She’s a good student. Ils sont français. They are French. – Quelle est sa profession ? – Il est boulanger. – What is his job? – Qu’est-ce qu’elle fait dans la vie ? – Elle est étudiante. – What does she do? C’est describes who the person is. – C’est un boulanger. – Who is it? – Connaissez-vous cette fille ? – Oui, c’est une étudiante. – Do you know that girl? – Yes, she’s a student. Describing other nouns is similar, with one key difference. Like for people, c’est is followed by a noun that may or may not be modified by an adjective. Il est can again only be used with an adjective that describes the specific noun. Elle est jolie. It’s a pretty house. Ce sont des vêtements chers. Ils sont chers. They are expensive clothes. 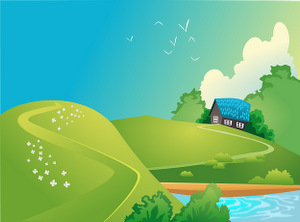 But c’est has an additional use: it can be followed by an adjective that describes the general sense of an inanimate noun, something unspecific, an abstraction (situation, opinion, feeling). This adjective is always masculine. C’est intéressant, la philosophie. Philosophy is interesting. La musique, c’est bon. Music is good. C’est beau ! It’s beautiful! Elle est intéressante, ta philosophie. Your philosophy is interesting. La musique, elle est bonne. The music is good. Il est beau ! It’s beautiful! > Il est bizarre. I hear a noise. > It’s weird that I hear a noise. > The noise I hear is weird. > it’s great that he bought a house! > the house he bought is great! * Except in impersonal expressions.